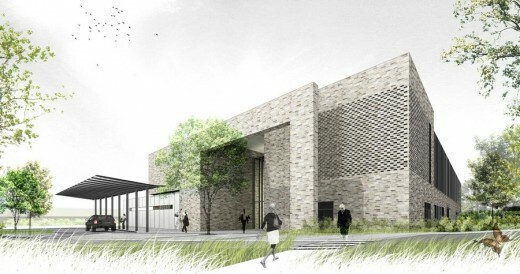 Keppie Design has been appointed to design a new £22m Satellite Radiotherapy Facility located at Monklands Hospital Campus in Airdrie, Lanarkshire on behalf of NHS Scotland. 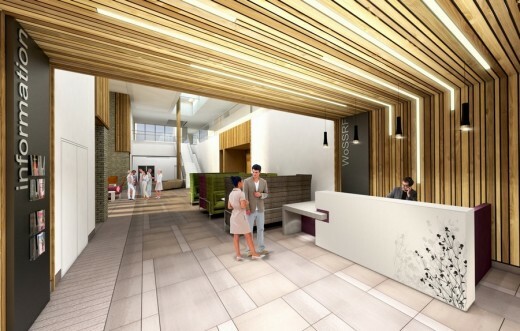 Designed to meet rising demand for radiotherapy treatment and to enable more patients to be treated closer to home, the new Lanarkshire Beatson will operate as a satellite of the Beatson West of Scotland Cancer Centre in Glasgow. Construction will commence on site later this month and is expected to complete by September 2015. Keppie, working alongside principle contractor, Laing O’Rourke, has designed the new facility in order to provide a manageable working environment for staff and to create a variety of waiting areas for patients. Its double height forecourt-style entrance area separates the treatment departments on the ground floor whilst the central south-facing courtyard allows the landscape to flow right into the heart of the facility, ensuring good visual and physical connection to outside space for all users. Peter Moran, director and head of the public sector division at Keppie Design, said: “The new Lanarkshire Beatson will be a fantastic facility and we are honoured to be part of the project team right from inception through to completion. We’ll be using our extensive experience of healthcare projects throughout the construction phase to bring our creation to life.